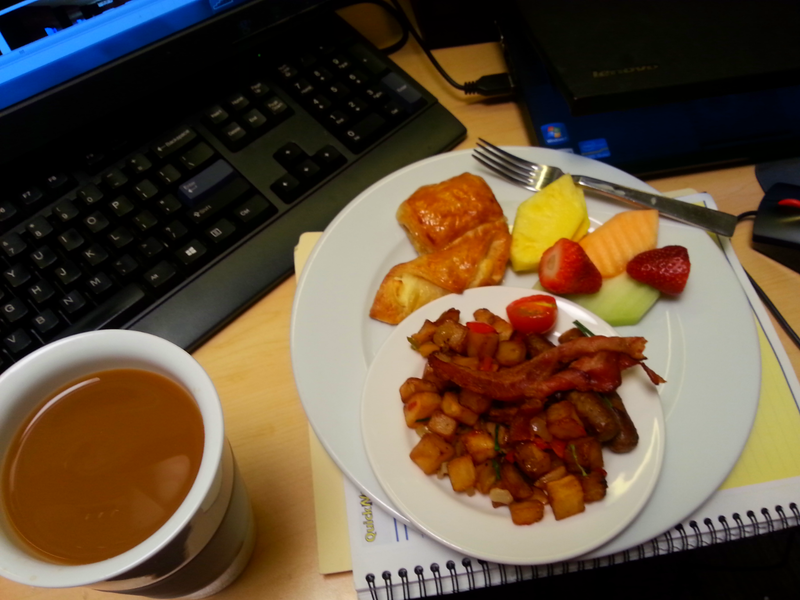 Surprise breakfast at work! They had an event planned for 10 people and only 6 showed up so there were very tasty brekkkie leftovers for the rest of us. Yum! My orchid is blooming! All five plants are budding, but this is the first to blossom. Bonus! 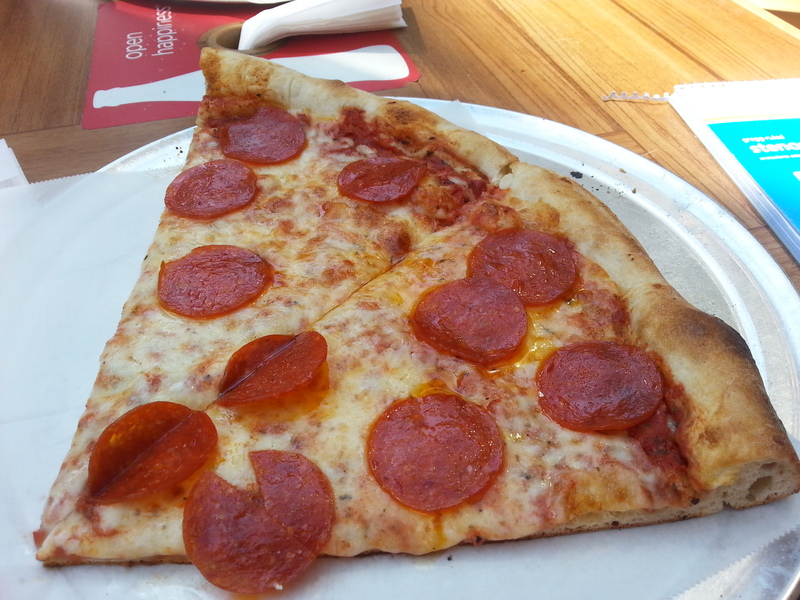 And there was pizza, at a sidewalk cafe. Thank you again, NITB, for your wonderful inspiration! I hope you all have had a lovely week with many things to be happy about! This entry was posted in Blogging challenge, City life, Random Pictures and tagged #threethingsthursday, gratitude. Bookmark the permalink. With all you have to be happy about-I wouldn’t worry about the dude but he does look as if he is dissing ya! lol what a great treat, breakfast. I’d be happy if someone made mine for me! Yeah, you’re lucky, Kim. I’m sure I get the finger a lot more than I realize! You make awesome breakfasts and have elevated them to literary art – that’s impressive! 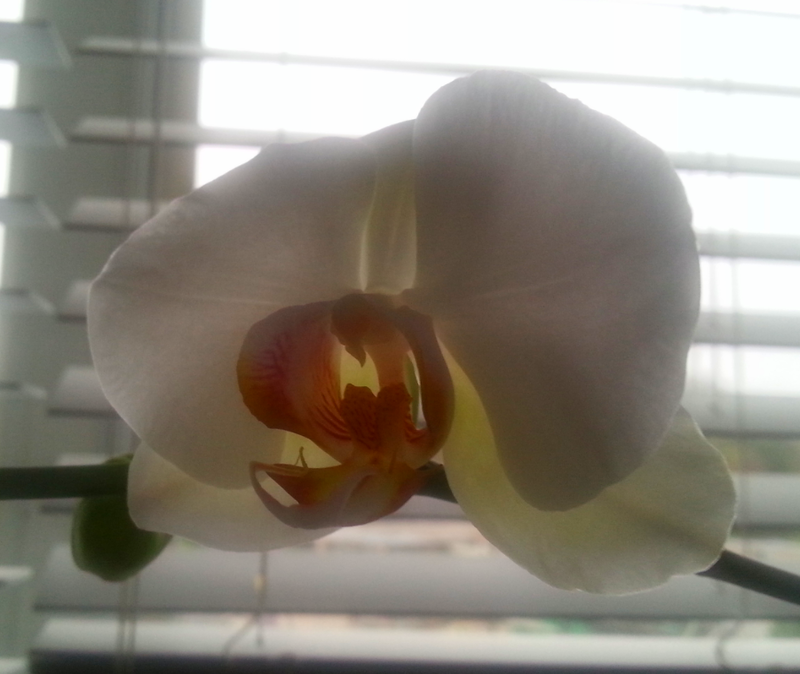 Oh, and your orchid is gorgeous! 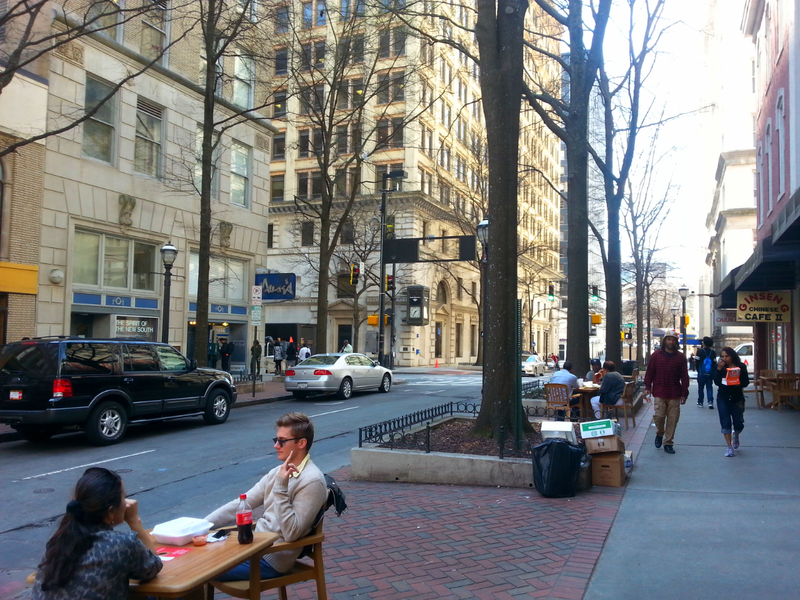 It’s been sneaky – a day here of sunshine and then three days of cold drizzle. I’ll be so happy when it makes up its mind! I’m so sure you are ready for spring but I love seeing your kitties in the snow! LOL, well you’ll see more. We have another storm coming this afternoon!